High-end Austrian manufacturer has announced the release of its new housing for the Nikon D810 DSLR. The D810 is Nikon's mid product cycle update of the highly regarded 36MP full-frame D800 and D800E, which offers some interesting new functionality for advanced underwater photographers, and Subal's new housing enables all of those features to be accessed underwater. 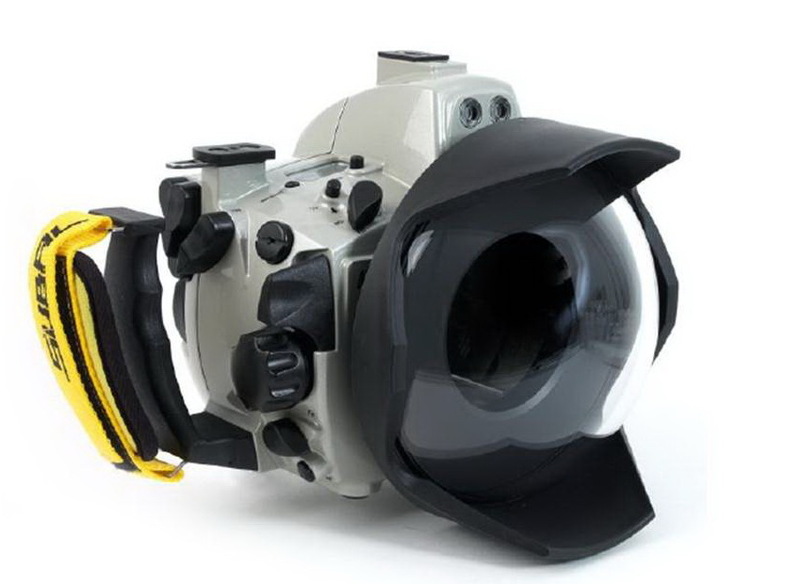 Made to Subal's exacting standards the new ND810 housing housing is constructed from a solid block of high-grade seawater-resistant aluminum, which is hard-coat anodized using a patented process and then put through an additional chemical hardening before being triple-layer powder coated. Power On-Off/Display Illumination, Shutter Release, Zoom (Manual Focus), Front and Rear Main Dial controls, Lens Release, Port lock system, Focus Mode Selector (M-S-C), Metering Mode Control, Movie Record Button, Mode Selector, AF- Lock, AF-On, Port Lock. The ND810 includes buttons for the following: Mode, Exposure Compensation, Bracketing, Flash Sync Mode, Lock, Metering Mode Control, Rec. Start/Stop, Playback, Delete, Menu, Thumbnail, Protect, OK, ISO, Quality, White Balance, Microphone, Multi Selector, Info, Live View, and AF Mode.